An inspirational story in rhyming verse about the rewards of challenging the status quo; not only for the individual who dares to do it, but for everyone else around them as well. Includes a bonus CD featuring the Tullula songs and a reading of the story by the author. Refiloe Moahloli is originally from Mthatha in the Eastern Cape, South Africa. A commerce graduate who spent the early part of her career navigating the dynamic corporate world, she decided to pursue her passion for writing after an eye-opening assignment to Mumbai, India. She is the bestselling author of How Many Ways Can You Say Hello?, published in 2017 by Penguin Random House. 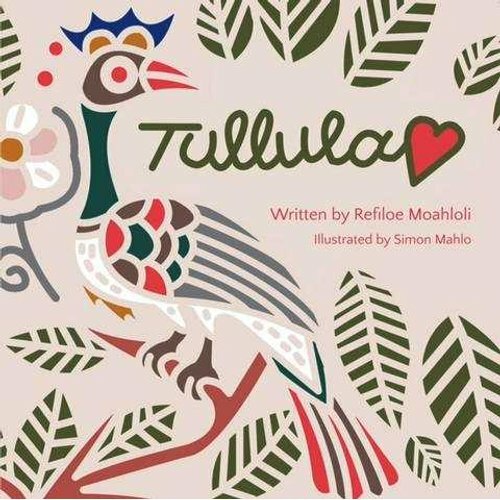 As an aunt to many nieces and nephews who consider her ‘one of them’, they inspire a multitude of stories that are constantly swimming in her head, waiting to be penned and made alive Simon Mahlo grew up in Morapalala, Limpopo, South Africa. When he was younger he would get into trouble with his teachers for drawing on almost anything he could find. His love for drawing never wavered – he now has his own company Mahlo Arts and Design, where he collaborates with women in rural Limpopo to create hand-embroidered, home-decor products. Hand-embroidery is a skill that has been passed down through generations in his family. Abena-Saah Mophatlane was born in Ghana to a South African mother and a Ghanaian father. Hers is a truly African heritage; her exposure to different cultures and ethnicities gives her an advantage in identifying talent with a widespread appeal. One such identification led to the creation of Tullula. She first came across Simon Mahlo’s hand-embroidery through a cushion that was sold to her. She was immediately impressed with the quality of work and felt she had to meet the artist behind it. 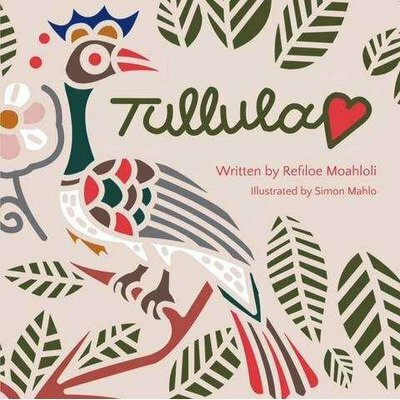 After meeting with Mahlo, she was inspired to create a children’s book with hand-embroidered illustrations – and so Tullula was born.